Bottle and Bull invokes the boozy appetite of the late author, while bringing craft cocktails to Kirkland. The couple who opened the latest Eastside hot spot, Bottle and Bull, seem to be channeling the boozing temples of Capitol Hill. 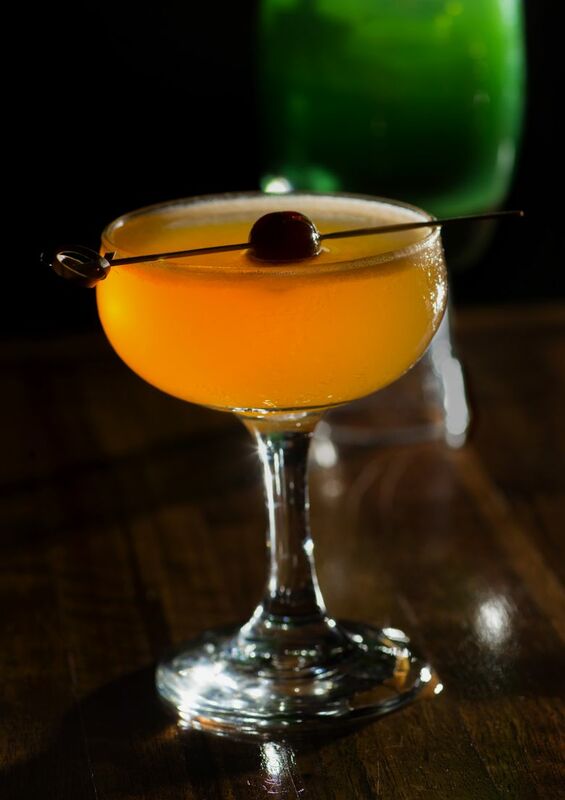 For starters, there are gin drinks topped with a “tamarind foam.” Behind the bar, you’ll find cult Pappy bourbon and bottles — Chartreuse, Fernet, Genepy — that a hipster or cocktail geek would warmly recognize. Craft cocktailing has arrived in Kirkland. The young owners, Chad Waldher, 35, and Jessi Pricco, 33, plopped this new ambitious venture on the main drag, a few doors from the swanky wine bar that opened last year, Maison DeLille Wine Lounge, and a block from a craft-beer bar, The Lodge Sports Grille. Component post 9564946 could not be found. They wagered that Kirkland, with its tony waterfront and million-dollar condos, could support its own upscale drinking scene instead of venturing across the bridge or to Bellevue, where craft drinks have made a home for some time. Bottle and Bull doesn’t necessarily resemble a place where Papa would drink, more like a steakhouse bar that draws the blue-oxford crowd in the 35-to-45 age range. Come 8 p.m. Saturday, it has more of a Real Housewives of the Eastside vibe, with the stiletto set standing two rows deep at the bar. The well-curated drink list is a departure from the usual vodka-and cinnamon-whiskey-shot staple, however. Drinks are more focused on sours, fresh juices and other San Francisco-inspired cocktails instead of the spirit-forward and Manhattan-hybrids that cocktail geeks favor in Seattle. A meta Old Fashioned with bourbon and brandy gets rounded out with dashes of absinthe, Angostura bitters and simple syrup. There’s a more nuanced play on the classic, “Atlantic Crossing,” with bourbon and a hint of Madagascar vanilla, along with simple syrup and savory notes from smoked sea salt. No Hemingway menu, of course, would be complete without a daiquiri riff. The cocktail, “La Florida,” referencing Hemingway’s favorite bar in Havana, will be featured in the coming weeks, a rum drink with sweet vermouth, crème de cacao, curaçao, grenadine and lime. Bottle and Bull, 105 S. Lake St., offers happy hour Tuesday-Sunday 3-5:30 p.m. with $6-$8 selected cocktails, $6 wine and $3 beers, and a bar menu of fries and sandwiches ranging from $4 to $10 (425-298-4972 or bottle-bull.com).